Following an announcement at the Liberal Democrat conference in 2008, in early 2009 the Liberal Democrats announced that they were setting up a commission to look at the way organisations deal with our personal data. The Commission on Privacy is supported by some well established names, including shadow leader of the house David Heath MP, Simon Davies, director of Privacy International, and Shami Chakrabarti, director of Liberty. When the task force was announced, David Heath said that he believed the government had been drifting from one IT related data crisis to another, and that at the same time they were assembling ever more information about the citizens of the UK. He said that the commission had been organised to attempt to take stock of what is happening to our privacy and personal information, protect our rights to personal privacy. Who Are the Commissions Members? The Commission’s ConcernsIn January 2009, the Information Commissioner ruled that the Home Office had breached data protection laws when it allowed a memory stick containing personal information relating to thousands of prisoners to be stored in an open drawer and then lost. "A formal undertaking to improve procedures is all very well, but disregard for our personal data continues to worsen. "It only demonstrates that going ahead with the proposed ID card scheme will pose a real threat to the security of our personal data. Ironically, considering their crusade against misuse of personal information, The Liberal Democrats were given an enforcement notice in 2008 after the party was found guilty of breaching strict privacy regulations. 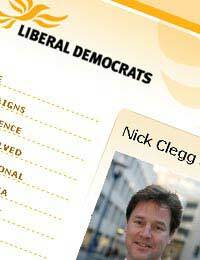 The Lib-Dems called 250,000 people in September 2008 and treated them to a pre-recorded message from leader Nick Clegg. The Information Commissioner has banned them from using this canvassing technique again, after it received 50 complaints from people who had been on the receiving end of the calls, which were made to voters in 50 marginal constituencies. @coljacko - I'm afraid this seems to be more of a problem with your own issues than your neighbours, who seem to be keeping within their boundaries, regardless of whether they have a trampoline and own a van. The issue also is living in a semi-detached house, I'm afraid is that you can't choose your neighbours and minor disputes when living so closely next to each other, comes with the territory, so to speak, even with those people who don't have health-problems such as yours. I don't think you have any legal rights here as there as your neighbours are theoretically not doing anything wrong and they noise from a child is only natural. I can only suggest that you have a polite and kind word with them to ask could they move the trampoline to another part of the garden, as from what you have said, they do seem willing to compromise. I do feel for you, as this type of neighbour is probably your worst nightmare, while they assume they are just living a normal family live which does include noise when you have a three-year-old. On another note, it might be worth you talking to your GP about these issues, as the last thing you want is it to spiral out of control, especially as you said you have a prediliction towards 'harm' (I don't know whether you mean yourself, or others). Your GP may be able to give you some guidance here. I hope this helps.